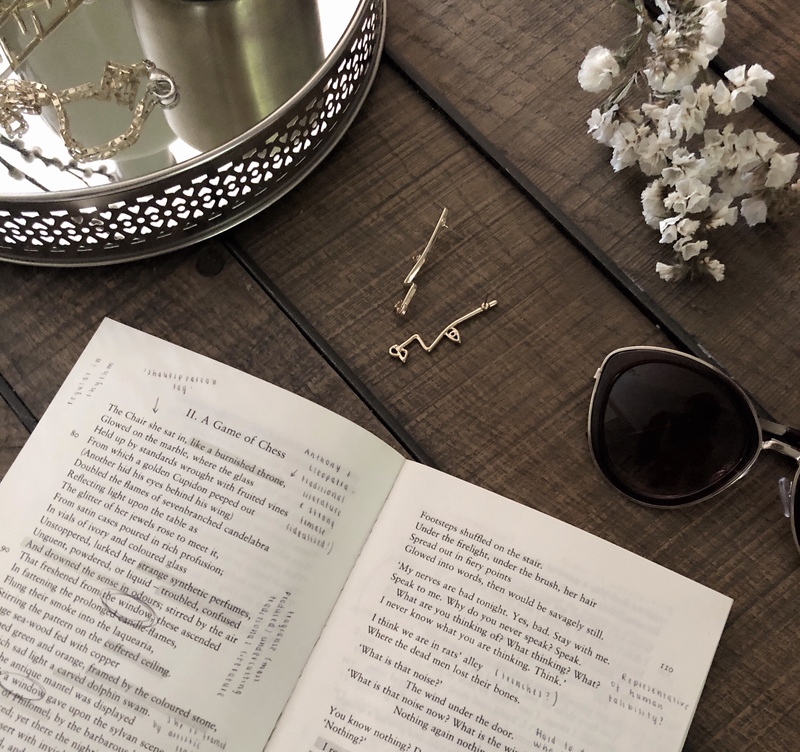 The three works that best encapsulate the medieval literary spirit, as mentioned in the previous segment, are The Romance of the Rose of de Lloris and de Meun, The Canterbury Tales of Chaucer, and The Divine Comedy of Dante. We will now turn our attention to the grandest and greatest of the three, The Divine Comedy, and delve into the classical inspiration that fuelled the Italian poet in his pursuit of bridging the Graeco-Roman ideal with his own Christian worldview. If the revelation had raised Christendom to a spiritual sentiment never before achieved by the pagans of antiquity, as Dante believed, then what was left to take from these pre-Christian pontificators? To Dante it was a necessary prior stage in the ascent of man, without which we would not have found ourselves in the situation to receive the revelation, let alone interpret it. Dante is hoping to attain the highest form of beauty and thought as he grapples through the torments of hell and purgatory before his acceptance to heaven. He achieves this through rich and flourishing language, notably choosing his native Italian as his chosen tongue for the work. The structure he uses for the poem is also of interest and lends to his reasoning behind choosing the title of The Comedy. It illumines not just his intentions with regard to the composition, but also gives us a window into his understandings of the classics at the time. 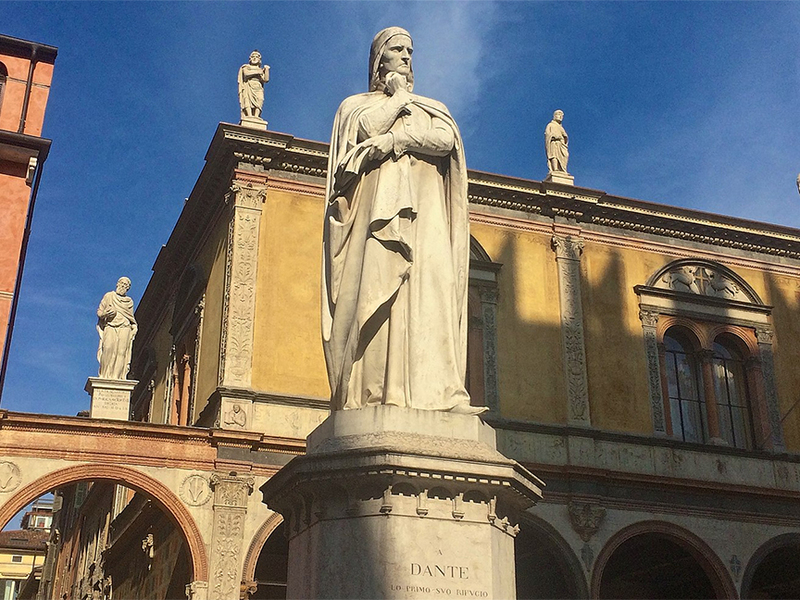 In his letter to Can Grande della Scalla, Dante states that his work is a poetic narrative that begins harshly and ends happily, written in a humble unpretentious language. In this sense Dante’s understanding of comedy is as antithesis to tragedy, which begins quietly and ends in horror, and would have carried with it a lofty style notable from the Greeks. This is clearly a garbled interpretation of the types of verse drama expounded by Aristotle in his Poetics. 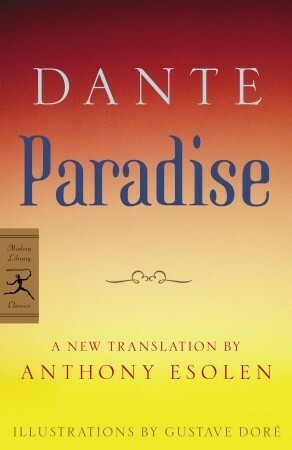 Dante’s work is far from the Roman comedies of the likes of Terrence. It is much more closely affiliated with Roman epic, in particular Virgil, whose Aeneid Dante calls ‘tragedy’. Another complication is Dante’s statement that the language of his Comedy is humble. Does he mean that it is humble because it is Italian? It may be that the grand style is reserved solely for the Latin and Greek languages, though there is also credence to the idea that Dante’s delineation is more subtle than this. Virgil certainly carries a wider vocabulary. It could be that Dante, in choosing Italian as his language, sought to make his work so that it could be as widely read and understood as possible. This aspiration to the masses, if so, lends us to another possible reason for differentiating between his own work as a comedy and the work of Virgil as a tragedy. Virgil’s work was purposefully for the Roman nobility, linking as he did Augustus’ and Rome’s rulers to the arrival of the Trojan hero Aeneas. The subject matter and events of the poem do mirror Virgil’s Aeneid and wider Graeco-Roman mythos in so far that it takes the protagonists into the underworld and is an exploration into life after death. In such, it follows the classic tradition of ventures into the pagan underworld undertaken by the likes of Orpheus, Odysseus, and of course Virgil’s Aeneid. Dante’s use of Virgil, and later Statius, as guides through the Inferno and the Purgatorio are illustrative that Dante is using these past poets as guides not just to Dante the character, but also Dante the poet. Without their framework, the ‘Divine poet’ would not have been able to traverse the difficulties encountered in the creation of his Comedy. His final guide, Beatrice, is also a notable choice. She is a departure from pagan antiquity, symbolising Dante’s attempt to Christianise and hence elevate the work of his pagan predecessors. Beatrice is the unification of Romantic love and Christian virtue, she is absolute faith. As Dante’s final guide, she brings him upwards to the outer territories of the Primum Mobile, delivering him to his Paradiso. prophet of Christ ignores the more likely scenario that Virgil was speaking of Octavian and heralding the coming of the Roman empire from the crumbling structure of the Republic. We should bear in mind it is more beneficial to look to Virgil’s Aeneid for forthcoming Christian themes and virtues rather than explicit prophecies and miracles. The character of Aeneas is a different proposition to the epic than earlier Homeric heroes. Achilles is angry, Odysseus is wily, whereas Aeneas is above all pious. Virgil as poet is passionate to idealism, refined on sexual matters, and has a strong belief in sweeping destiny. As Homer was to the writer of Beowulf, so Virgil is to Homer in turn. He marks a matured poet as compared to his forebears. Paved over by the collapse of Rome, Virgil with its solemnity, its devotion to duty, its otherworldliness, and its profound sense of the divine, is reincarnated through Dante. In this sense Dante is the dreaming dawn of the Renaissance to come. A part of Virgil’s sense of destiny is in his role, both lived and idealised, as herald to the coming Roman Empire. To Dante the Empire was inextricable from the later spreading of the word of Christ. Thus, for Dante, Virgil’s heraldry is part of a continuous flow of destiny which led to the establishment of the Catholic Church. Let us recount Dante’s logical flow of Roman destiny, as he saw it: Aeneas flees Troy to begin the foundation of Rome, Rome conquers the world, including the Holy Land; The Holy Land then spreads the word of Christ back to Rome and allows Christendom to revivify the Empire. This view of the role of Rome in Christendom is discernible in Dante’s other major work, De Monarchia, in which the poet states explicitly the existence of the empire was the direct will of God. Acknowledging that the formation of the Roman Empire was instrumental to Dante’s interpretation of the spread of God’s will, it is clearer not only why Virgil is the necessary pagan guide through the Inferno, but also why, in the lowest circle of hell, there is reserved special places for the greatest traitors to God, Christ and also the Empire. Those who threatened the empire’s very existence threatened the eventuality of Christian superiority, and hence are on a par with those who threatened God and Christ himself. Dante’s prime traitors are those who disobeyed their glorious masters. Satan is supreme traitor, having disobeyed the Lord in Heaven. He is accompanied by the three worst earthly traitors: Judas Iscariot, chief betrayer of Christ, as well as Brutus and Cassius, murderers of the great father of the Roman Empire, Julius Caesar. Dante’s affiliation with Virgil is also one of sincere patriotism. Virgil expounds his love for Italy in his Georgics, while Dante is consumed by Italy’s gloomy disposition throughout his Purgatorio. He has the Mantuan Sordello embrace the ancient Mantuan Virgil and hails the pagan poet as il nostro maggior poeta. If Dante wanted to let reason guide him through hell and purgatory before reaching heaven, as is often stated, would it not make more sense to have chosen Aristotle, ‘the master of those who know’? Yet to Aristotle he does not speak. The reason is there is an element to Aristotle that is inherently foreign to Dante. They are masters of different tongues, both in interpretation and style. One must remember that Dante is pre-occupied with the Northern Italian strife of the Guelfs and the Ghibellines and that his poem is decidedly written in Italian and was decidedly written for Italians. Aristotle was not what was required. It needed the poet of the golden age of Rome. It needed the dash of patriotism. It needed Virgil. Dante’s obfuscation of the ornate is again in tune with his wanting to write a Comedy, as he understands it. Where Dante does show classical qualities is in his reaction to the study of Virgil. Guido Cavalcante, as contemporary of Dante, is described in The Comedy as ‘perhaps despising Virgil’. Dante wishes to emphasize his stand with pagan poetry as isolating, even solitary. But he also wishes to display qualities of grandeur of imagination and sustained nobility of thought in light of this. These are essential Virgilian qualities. Dante is constantly comparing himself to his two great models who went to Rome to form greatness – Aeneas and Paul. Before entering the underworld to Virgil’s summoning he is insistent he is neither, his fear in dropping the branch revealing a protagonist contemplating his inability to achieve the greatness of his models, as he is unable to reconcile the Guelph-Ghibelline faction which so pre-occupies his mind in his own time. His quest will instead be literary. We have already mentioned some of the themes that occur in Dante mirrored from the classics – Aeneas’ descent into the underworld in Aeneid VI, itself coming from Homer’s Odyssey XI. Virgil had added to Homer’s world an element of mystical ideas from Oprhism and Platonism, and Dante saw it as his duty to add to Virgil’s attempt to fill in the vague aspects of this underworld. 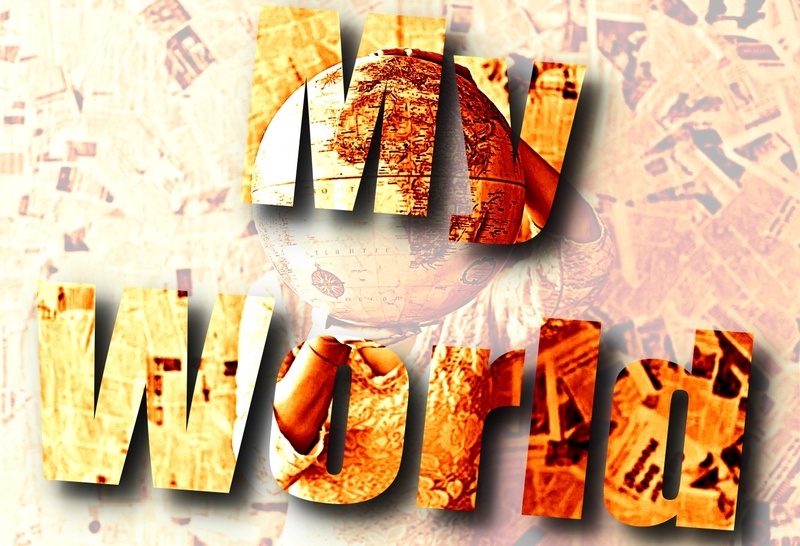 To do this Dante uses geographical moralism, using Thomas Aquinas’ elaborations on Aristotle’s arrangement of vices. Elsewhere, Supernatural inhabitants from the classical world are abundant in Dante’s Inferno: the ferryman Charon, the judge Minos, the fiendish dog Cerberus, the Harpies, and the Centaurs but to name a few. As the Comedy proceeds towards the divine, Dante naturally utilises less of classical figures for his purpose. In the Purgatorio, cardinal sins find themselves represented by the Biblical figures such as Nimrod, Niobe, Saul and Arachne, though Cato remains as a guardian of purgatory, his position between Dante’s hell and purgatory is consistent with his position as being in Virgil’s heaven, as described in Aeneid VIII. The classical philosophers have never left the poets mind during composition. Virgil may guide Dante through hell, but it has been undeniably morally sculpted by Greek philosophy as well as Christian morality. 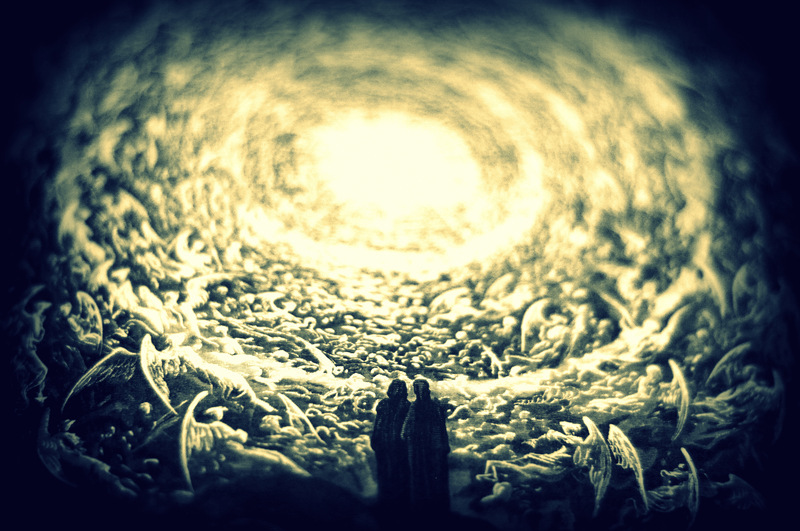 Dante completes his journey through hell and purgatory to heaven to the resounding choir of angels crying Benedictus qui venis, ‘Blessed art thou who comest’ – the greeting of the multitudes to Jesus at his entry to Jerusalem. This is notably followed by Manibus date lilia plenis, ‘Give me, from full hands, lilies’ – the tribute of Anchises to the spirit of Marcellus in the Aeneid. The message is clear – pay tribute to your forbears, they will bring you toward divinity. Dante’s pagan teachers are hence given their own fitting tribute, the Comedy itself. By this tribute, Dante will hope to achieve salvation. Apart from the aforementioned Virgil and Aristotle, other classical authors of note are necessary for Dante’s journey to be fulfilling. These include Ovid, whose Metamorphoses were Dante’s main source for Graeco-Roman mythology; Lucan and Cicero – both of whom are referenced or quoted some fifty times each; Boethius, the stalwart of dark and middle age scholarship; and Statius, the Latin poet who came closest to the achievements of Virgil in Dante’s eyes. The incorporation of these authors into the work were invaluable in Dante’s pursuit of first equalling, then exceeding the classical authors. Latin Christian poets and satirists alike such as Prudentius, Horace, and Juvenal are not given credence. To Dante these are the lesser poets of Rome, which shows Dante as a matured learner of the classics who is confident enough to distinguish between the style and eloquence of the ancients. They are not central to his mission. After Thomas Aquinas had led to a reconciliation between Aristotle and Christian ethics, Dante saw it as his duty to reconcile classical poetry, in particularly the Virgilian sense of historical destiny, with Christian ascendancy. His journey must be Aeneas’ journey superseded. It must be Paul’s Christian message returned to Classical Rome and renewed oncemore to aid an Italy torn with factious war. That is how his Paradiso is attained. It is very hard to be in a one-sided friendship. And it can be very draining.